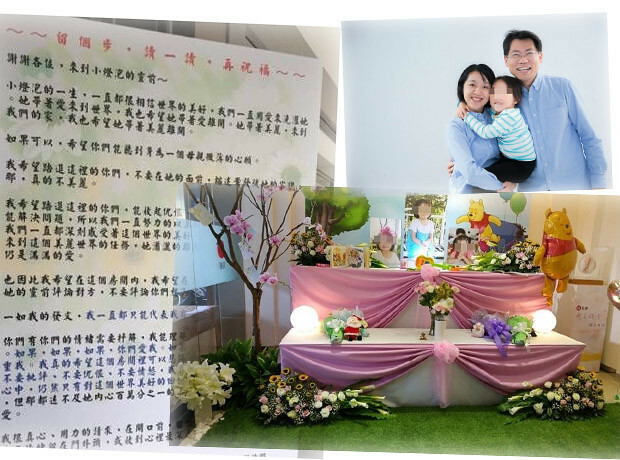 The shocking news of 小灯泡 or little light bulb has been weighing on the minds of our editorial team recently and we simply feel so much for the passing on of a sweet innocent life that has left us in a most cruel way. Here’s a quick summary in chronological order on the tragic incident that happened in Taiwan on 28 March 2016. At 8am a video footage captured Wang Jing Yu purchasing a cleaver at a department store. He proceeded to Xi Hu Junior School thereafter and loitered outside the school. He had plans to enter the school’s premises by climbing over the walls but his plans were shelved as passerby were getting suspicious of him. 10am. The toddler and her mum were on their way to meet her granddad, uncle and her twin siblings at the train station. The toddler was on a tricycle and was cycling along side with her mum who was pushing a pram. They were taking the route that Wang was loitering around and he spotted the pair from the school’s main gate and started tailing them. The toddler began to trail slightly behind her mum when they were on a slope. Wang spotted the scene and rushed up. Upon noticing Wang, mummy assumed that he was trying to help her toddler to speed up and reacted politely by telling Wang that its fine to let her ride on her own. The tragedy struck when Wang held the head of the toddler with his left hand and whipped out his hidden cleaver under his jacket with his right hand and brutally wielded her neck with it. Upon witnessing this, Mummy struggled with Wang while screaming for help. Blood was seen splattering on Wang’s face, but he continued with his action with a minimum wield of 12 strokes of the cleaver. The fragile structure of the toddler gave way to pressure from the action and she was decapitated within seconds. It took seven passerby to stop Wang from his action and pinned him down. 2 of the Samaritans were brothers who were working in a nearby garage and were armed with metal poles and the other 5 were passerby. 11am. A devastated but composed mummy was seen giving her statement to the police at the crime scene while Wang was handcuffed away by the police. An angry crowd were seen gathering at the crime scene and some came armed with weapons, awaiting to strike Wang once they get sight of him. 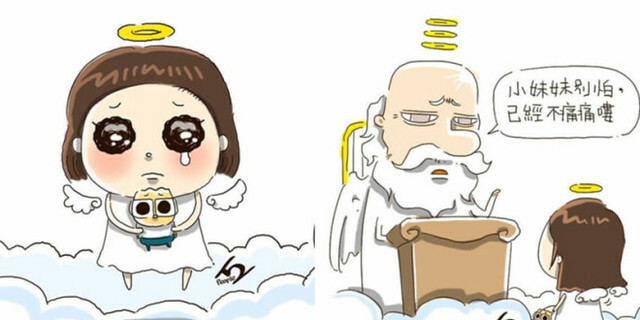 Wang hallucinated that he was an emperor while being interrogated and commanded the police officers to bow to him (Emperor) and said that he was instructed by higher power to continue his lineage by finding a girl from Sze Chuan and kill her thereafter. Upon further interrogation on the link between his crime and the continuity of his lineage, he simply uttered a bunch of nonsenses and was unable to provide a reason. The passing on of a loved one isn’t easy to swallow much less witnessing the entire scene and being so near yet so far to help your love ones when they are in need. 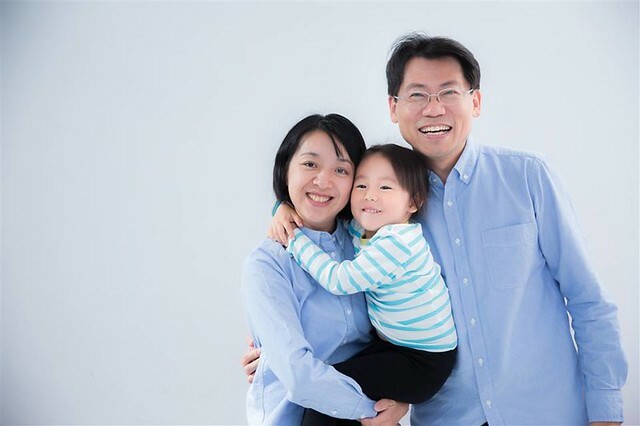 Nonetheless Claire Wang epitomized remarkable strength, courage and positive attitude when she wrote the facebook post and it certainly reminded us to love and treasure all our love ones around us. Source Translated from Claire Wang’s facebook post. Instead of drowning in negativity and hatred, she encouraged the public to do more to prevent such incidents. Here’s a big salute and hug from the team at WAOblog.asia to Ms. Claire Wang and family and to Little light bulb. Rest in peace Little bulb. A last note, to anyone who is in pain from the passing of a love ones, this is the song or music therapy that I kept dear to me when my grandpa passed away.